Rose Brault, EdD, advanced registered nurse practitioner at the Samaritan Touch Care Center, has been recognized by Marquis Who’s Who Top Nurses for dedication, achievements, and leadership in primary care. With more than 50 years of professional experience, Dr. Brault currently serves as an advanced registered nurse practitioner with the Samaritan Touch Care Center, and she also serves part time for Ray H Tangunan. She has also lent her expertise as a nurse practitioner to the Good Shepherd hospice, Health Essentials Inc., the Heartland Internal Medicine Association, the Florida Physicians Medical Group, and the Department of Veterans Affairs. In addition to her work in the field, Dr. Brault has worked extensively in academia, including with American Sentinel University, South University, Florida Southern College, Central Florida Community College, and the University of Central Florida. Dr. Brault began her career as a student at Boston College where she completed a Bachelor of Science in nursing in 1966, simultaneously serving as a nurse with Boston City Hospital. She was subsequently nurse with Boston floating Hospital, and a nursing instructor with Whidden Memorial Hospital and University Hospital, completing a Master of Science in Nursing in 1977. A leader in her field, she has been a staging coordinator and medical clinical coordinator with University Hospital, a director of quality assurance with St. Elizabeth’s Hospital, the director of professional services review with the Massachusetts Eye and Ear Infirmary, the director of health education services at the Florida Institute for Neurologic Rehabilitation, and a quality improvement Practitioner with the Volusia County Public Health Department. 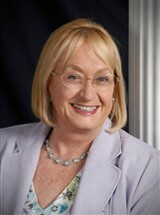 Dr. Brault earned a Doctor of Education from Boston University in 1985.